Access-i allows you to identify, at a glance, the level of accessibility of a building, site or event to each specific need. 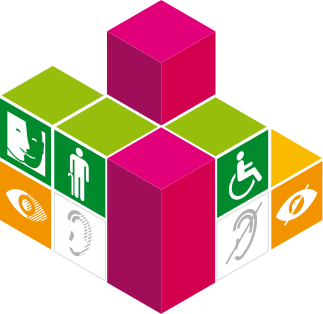 Each category of people with special needs is identified by a pictogram. This one is placed in a box whose color varies according to the level of accessibility of the evaluated space.